Going back to SL, I am going through a kind of re-assessment of my purpose there and perhaps the value and the way in which SL can be used for political activism etc. I met up with three superb people today. 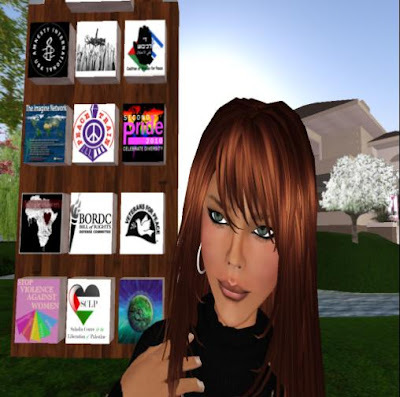 One- a brilliant friend called Zoe Parness, who is political, but also writes and reads poetry and prose beautifully in SL. She is someone I have learned so much from in the past. She is working on a SL Radical Poetry installation and event. Can’t wait! Do a search for her name in youtube. [6:28] Plot Tracer: do you see yourself as a facilitator? Millay has said if anyone has any questions – please contact her inworld. And I recommend you do!